In the recently released Member Association Rankings by Asian Football Confederation, India rose by 4 places to occupy 19th position with 25.876 points. India finds itself ahead of teams like Oman, Singapore and Indonesia. India, ranked 23rd previously, amassed 9.12 points thanks to strong performance by Mohun Bagan AC and Bengaluru FC in AFC Cup. Both teams made it to the Round of 16 this year with the later defeating Hong Kong based club, Kitchee FC to register a spot in Quarter Finals. AFC's MA Rankings take into consideration the teams performance in International matches as well as its club's performance in AFC Champions League and AFC Cup, with 70:30 ratio.This means National teams performance weighs 30 points where as club's performance weighs upto 70 points. This explain why Iran despite being top Asian country in FIFA rankings in 4th in AFC MA rankings. It collected all 30 points for its performance in International matches but could only get 54 points for its club performance in continental competitions. This year none of Irani club made it to the Quarter Finals of AFC Champions League. South Korea, on the other hand are top ranked for third year in a row, owing to its club's strong performance in AFC Champions League. South Korean club, Pohang Steelers have won the AFC Champions League three times, highest by any club. In its 2016 edition, two South Korean club, FC Seoul and Jeonbuk Hyundai Motors have made it to the Quarter Finals. The MA Rankings decide the no. of slots each country gets in AFC Champions League and AFC Cup. 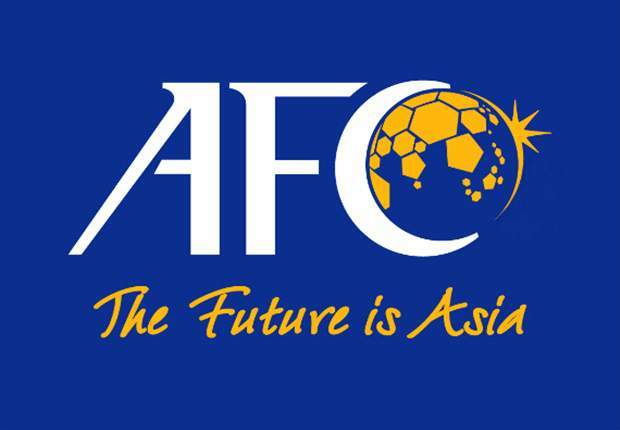 Top 6 teams in West Asia and East Asia gets at least one direct slot to AFC Champions League. One of the major surprises of the Rankings is Hong Kong, who are ranked 15th with 36.617 points, which makes them 6th in East Asia, ensuring 1 direct slot to Group Stages in AFC Champions League. They also get 1 spot in Preliminary Round-2. This will be the first time, a Hong Kong based club will participate in Continent's top club competition. India being 9th ranked in East Asia, will continue to have 1 direct slot to AFC Cup and and 1 play off spot. Also, the Champions of I-League will participate in AFC Champions League Preliminary Round-1. A strong performance by Indian clubs in AFC competitions over two years can give it a realistic chance to get at least 1 direct slot to AFC Champions League.